1. 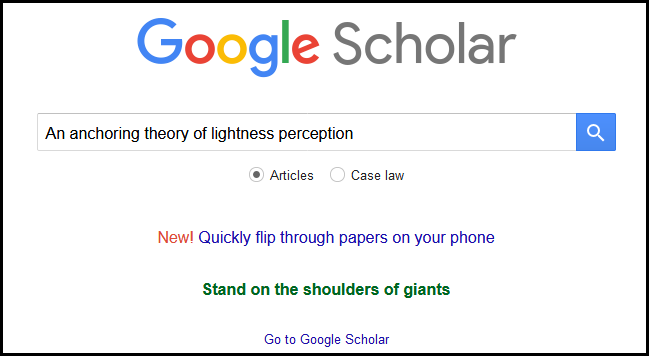 Go to Google Scholar and copy and paste the journal article title in the search box. Click on the search icon. 2. Check the citation and publication details to identify the correct journal article. Click on the FindIt@Melbourne link to access the article via one of the library’s databases. 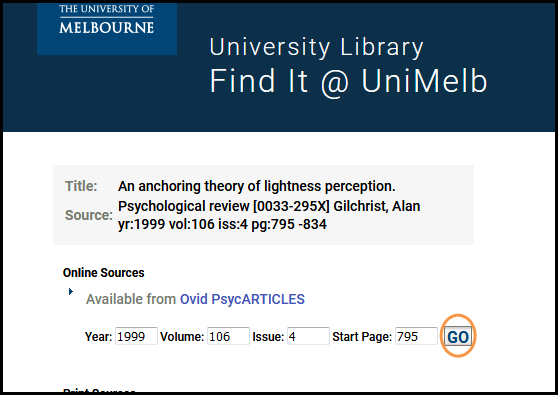 If there is no Findit@Melbourne link or Google Scholar does not find the correct article, search the Library Catalogue to locate the article. 3. On the Findit@Melbourne screen, check that the year, volume, issue and page number match the information provided in the citation in the reading list. Click on GO to access the journal article - you may be asked to log in using your University username and password. 4. Check the journal article website for a link to access a pdf of the article. Click on the link to open the pdf to confirm that the link does go to the pdf and there are no problems with the pdf. Where a pdf link is located will vary from journal to journal but it should be located near the top of the page and the citation information. 5. Save a copy of the citation information and the link to the pdf. This step will vary from journal to journal, but is usually denoted by a ‘View or Save citation option’ or an ‘Export’ option. If unsure use the journal’s “Help” information. 6. 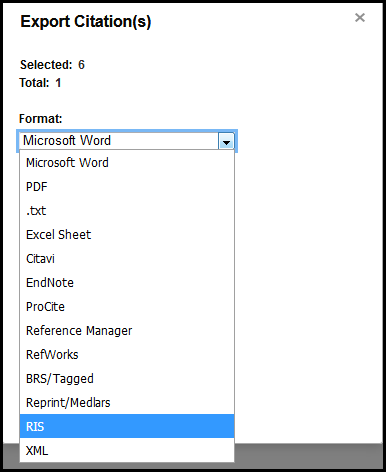 Save or export the citation as a RIS file or a Reference Manager (RefMan) file. The file will usually save in your Downloads folder. If you wish to save the folder to another file location or rename the file, select another folder to save the file into and take note of the file name for later reference. If you are not able to save the citation and export it as a RIS file, then the metadata and link will need to be entered manually. Copy the permalink or stable link - see Finding and saving URLs for online content and manually add to Readings Online - see Adding print journal articles to Readings Online manually.